what i eat | Finding delight. Now that I live in South Florida, my taste buds always seem to be after Mediterranean and/or tropical flavors. Fresh and crunchy vegetables, tangy tastes of citrus or vinegar, that sort of thing. With that in mind, I thought I’d give ya a peek at my dinner plate from last night…. 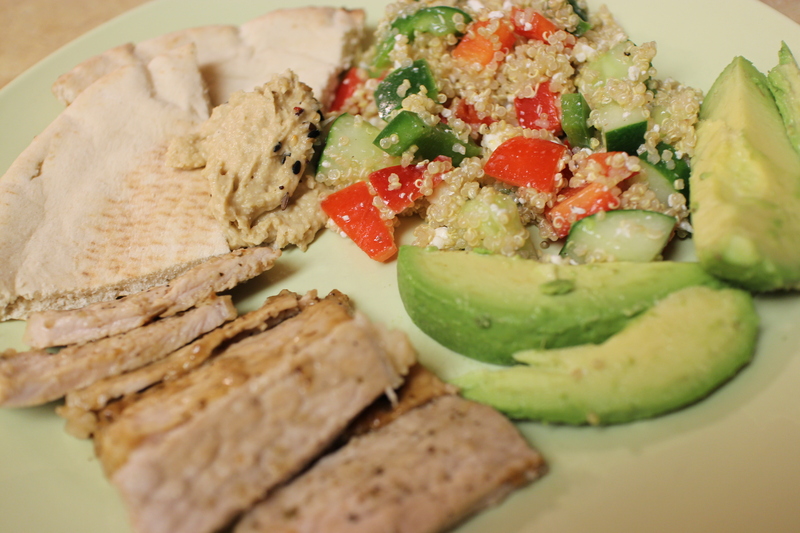 And a heaping helping of Greek Quinoa Salad! It super fit the bill and satisfied my cravings for a summertime-is-upon-us feast. 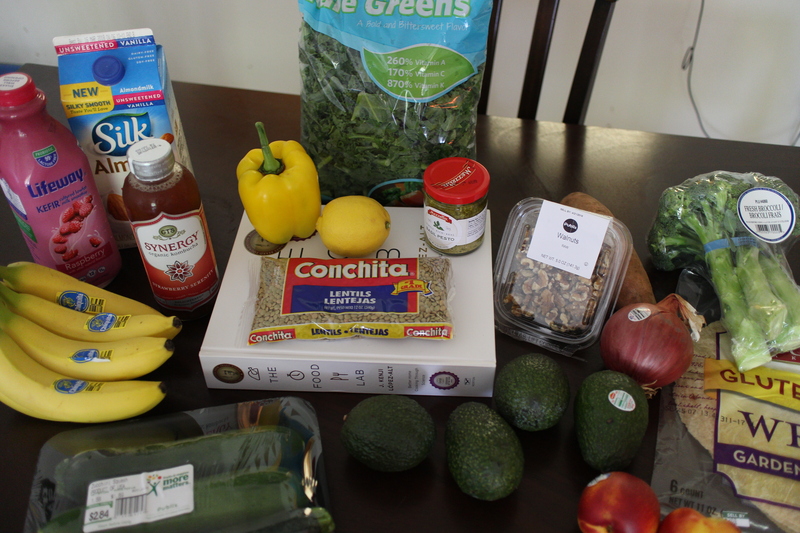 Wanna know how to whip up your own Greek Quinoa Salad? Of course you do! It would be a perfect dish to make this weekend for work-week lunch prep or to pack along for a picnic pot-luck. – Rinse quinoa and then place it in a saucepan on medium heat to toast for a few minutes and get rid of any excess moisture. – Add water to the saucepan and bring to a boil. Once boiling, reduce heat and cover the pot with the lid slightly off kilter (so as to allow some steam to escape). Let this simmer for 12-14 minutes. – While quinoa is simmering, chop bell peppers and cucumber. 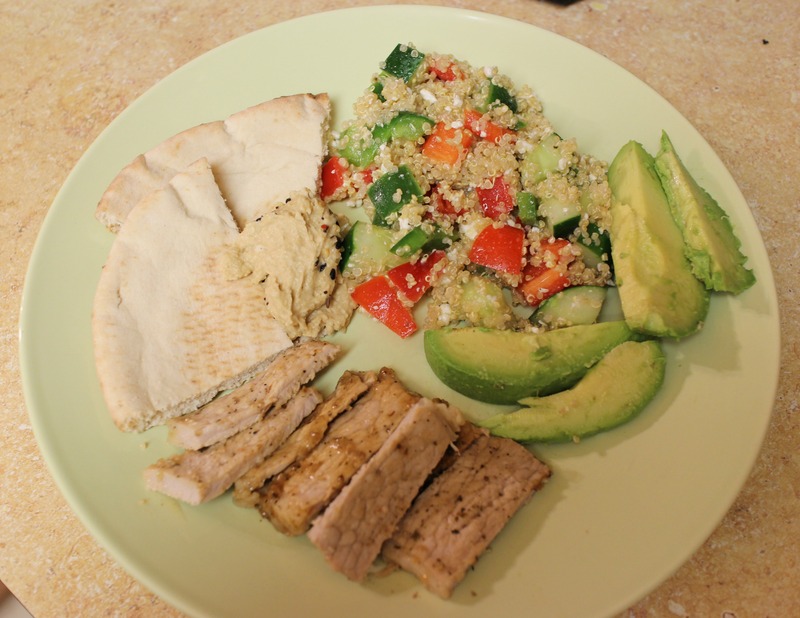 – Fluff quinoa with a fork, take it off heat and allow to cool to room temperature. 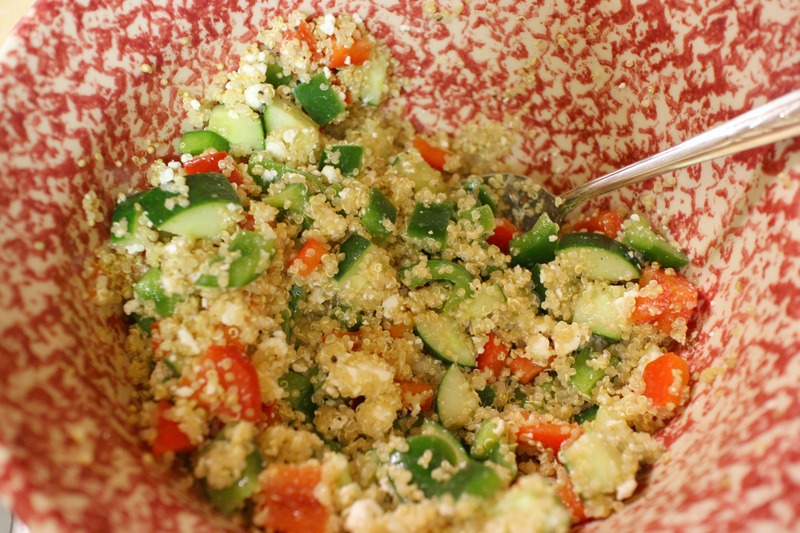 – Once quinoa is cooled, add it to a large bowl along with chopped vegetables and feta cheese. Note: To make this salad vegan you could replace the feta with olives as they both provide a salty flavor. Also, non-vegans who like olives (aka NOT ME) could have BOTH! – To create the dressing: whisk together oil, vinegar, and salt and pepper. Then add this mixture to your salad. – Serve room temperature or place in the refrigerator to chill. Have any recipe ideas that might keep my cravings satisfied for the months of sky-rocketing temperatures ahead here in Miami? 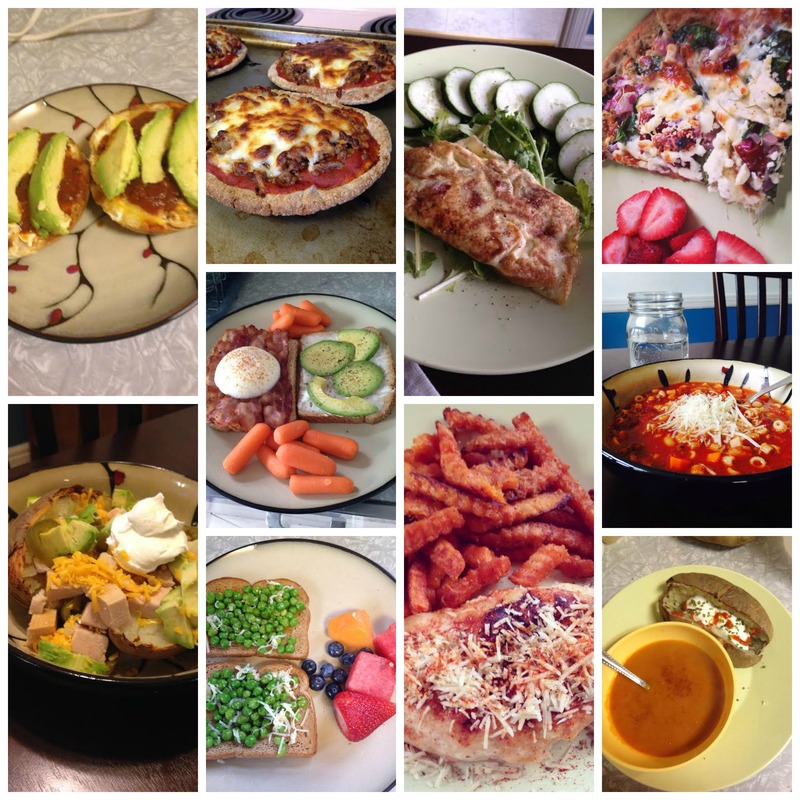 What have YOUR dinner plates been lookin’ like lately? Share below!